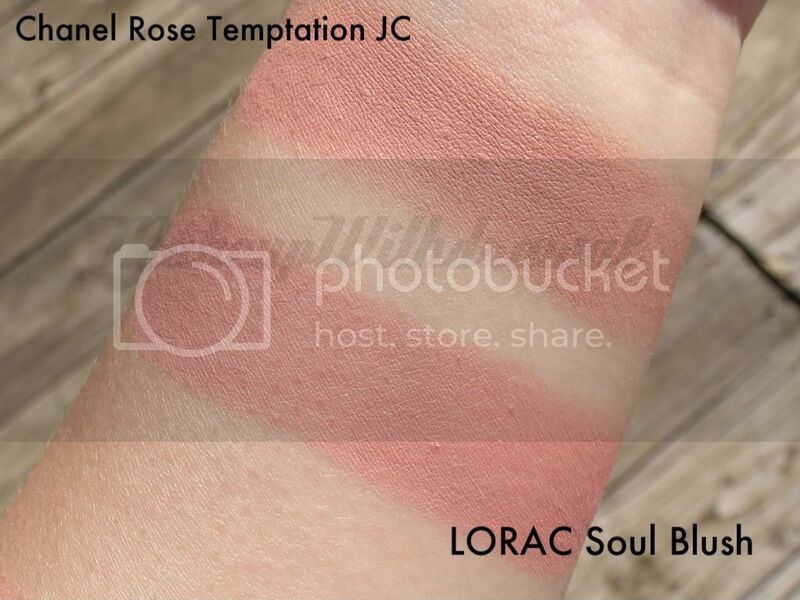 Ah, LORAC Soul blush. 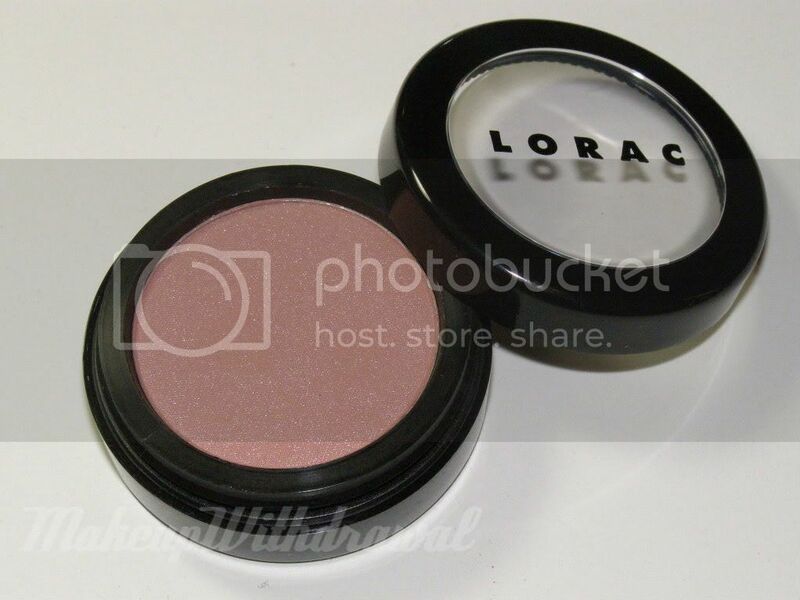 I wanted this blush forever and ever, and have been eagerly scouring eBay for the last few months for it. 'Cause you know, I absolutely hate paying retail for anything. Bingo! I managed to get this baby shipped for under $12 (retails for $19). However, I had pined for this blush so long that when I finally got it, I was severely underwhelmed. Not really the blush's fault as I had swatched it many times at stores and knew exactly what I'd be getting. 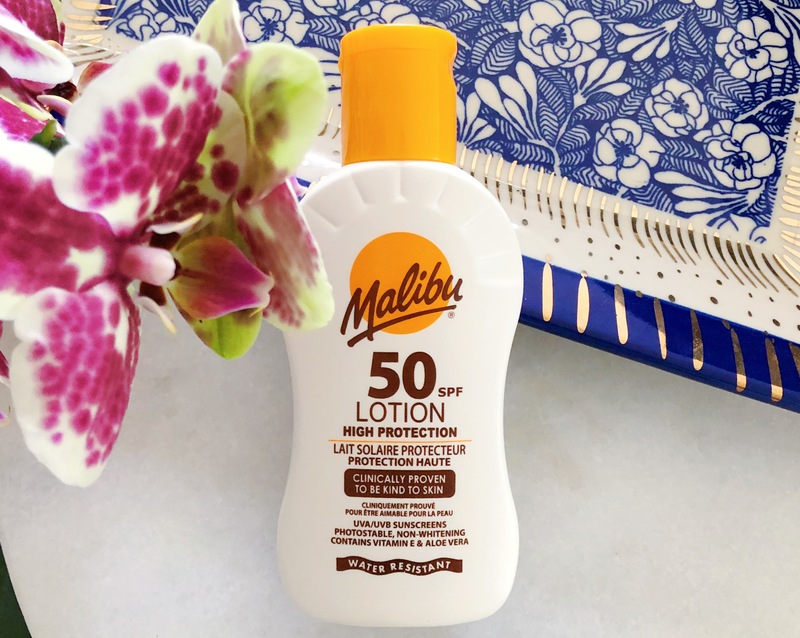 It seemed like I really loved the thrill of the hunt (hunting for makeup bargains that is) that when I finally had it in my grubby little hands, it lost its magical grip over me. Back to the blush itself. It's a soft mauvey pink-brown color that contains a bit of silvery shimmer. Hmm, you know what it reminds me of, actually? Chanel Rose Temptation Joues Contraste, from the Fall 2010 collection. This picture actually makes the difference look more pronounced and the shimmers in both aren't that noticeable. But really, they're there! Rose Temptation has more gold glimmer bits and contains more brown while LORAC Soul is a bit more silvery and has more mauve. I find that this blush looks really natural on me, which is why I guess it doesn't "wow" me. But I like it none the less! The quality is great, it's super smooth and finely milled and blends really well into my face. It lasts a decent amount of time too, perhaps not all day but it fades in a subtle sort of way. Like you don't have to worry about it disappearing in patches! So, this is my go to blush now for days when I can't figure out what to wear on my cheeks. How about you? Do you have a favorite natural blush?